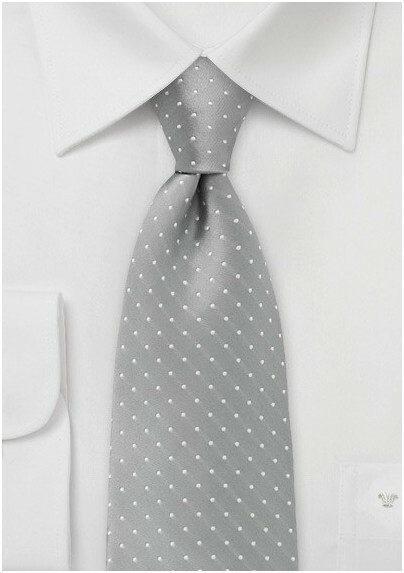 Add an element of timeless elegance to your style of dress with this simple and classic polka dot patterned tie in soft pewter grey and white. 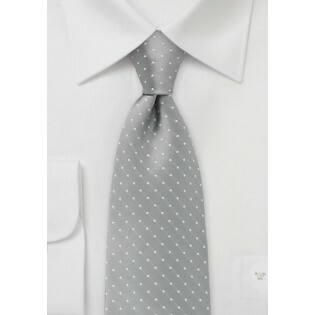 The petite polka dots are perfectly spaced and proportioned to give the tie a modern look and feel. This dashing tie is sure to turn some heads and collect its fair share of compliments. This necktie is designed by Puccini and is crafted from a premium grade microfiber that doesn't wrinkle or stain. Available in other colorways.